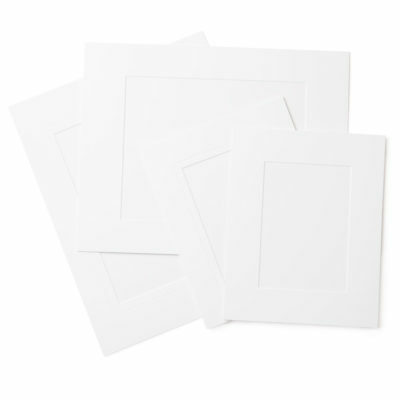 Use these wood magnetic easel stands for a stylish and simple way to display your matted prints. 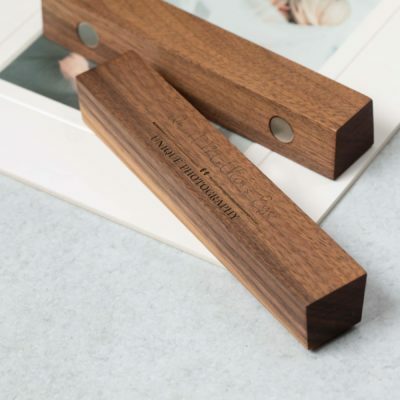 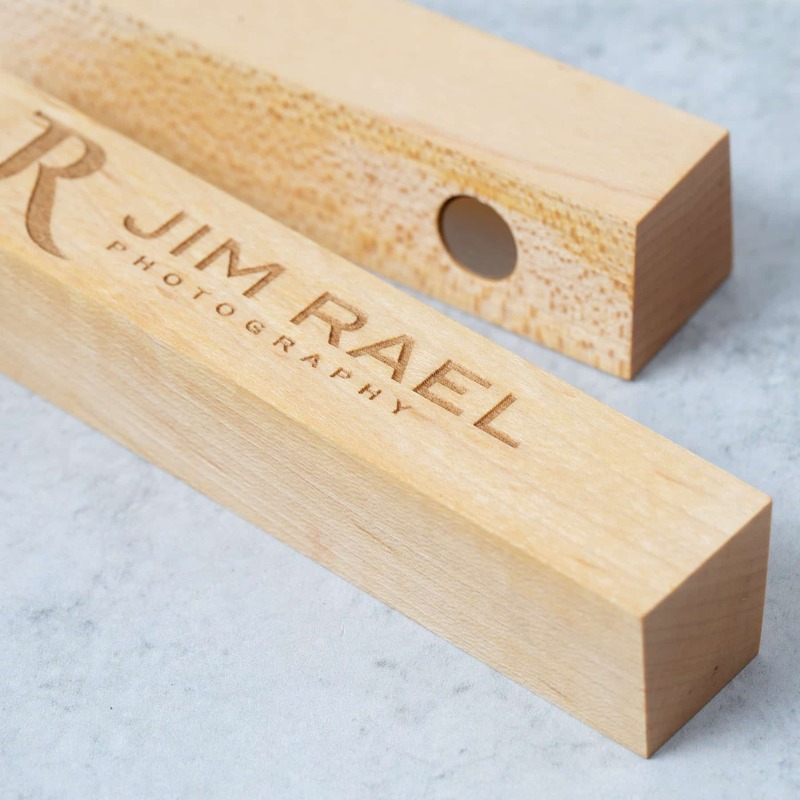 Less is more with these stylish and simple easel stands cleverly crafted from wood and magnets. 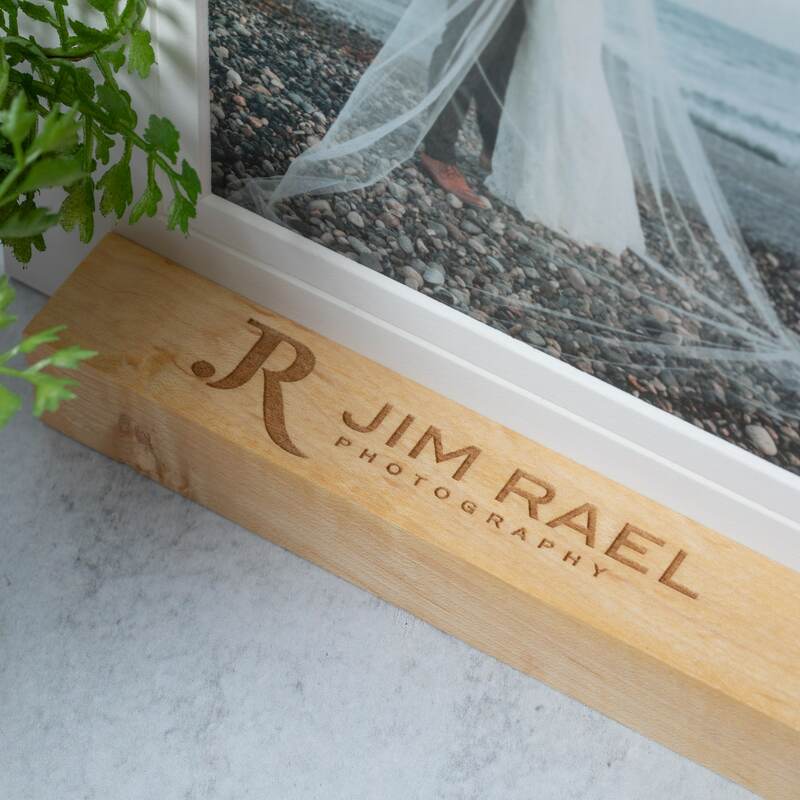 And best of all – as opposed to framed prints – you can quickly and easily move your mounted or matted artwork around so rearranging your space has never been easier! 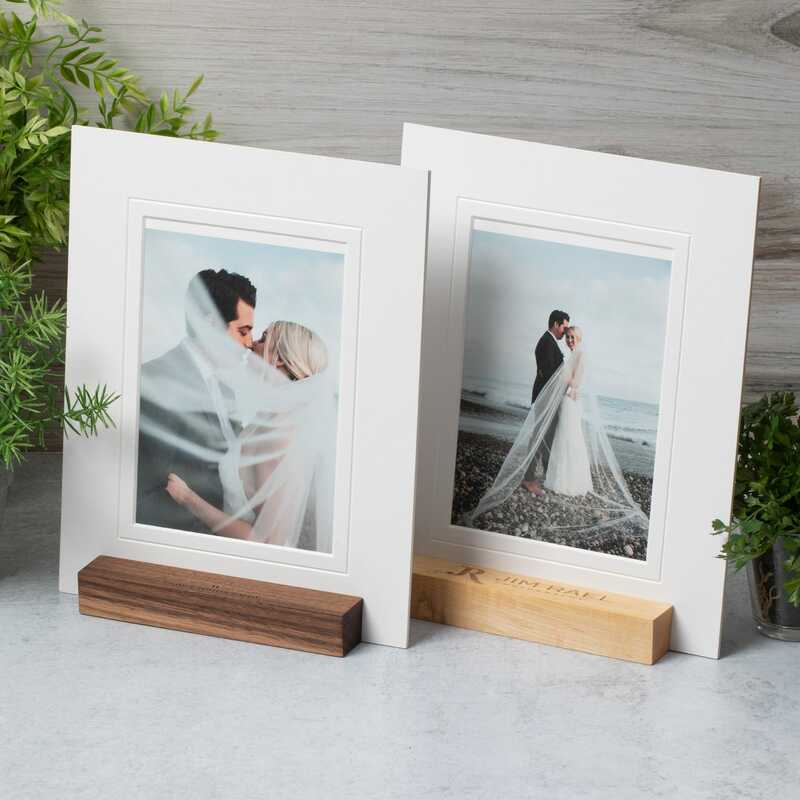 Available in maple and walnut wood and able to accommodate various sizes of matted prints (up to 11×14), these easel stands happily accent and support – yet take a back seat to – the artwork they help to display. 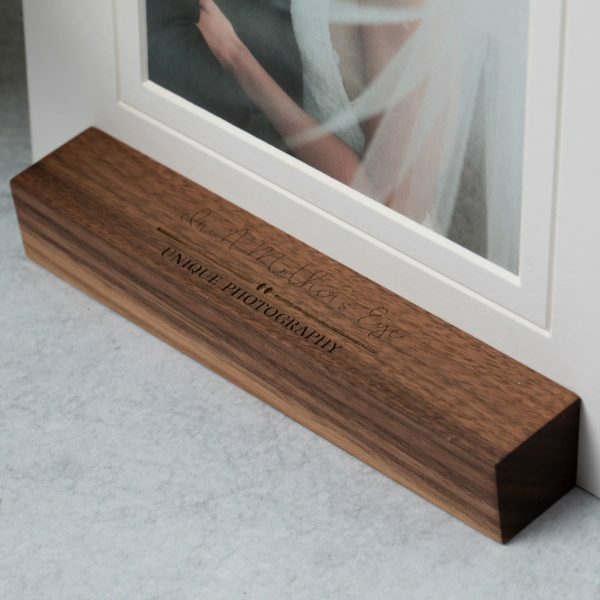 Each stand consists of two blocks connected by very strong magnets, guaranteeing your matted or mounted prints will not move around once they are secured between the blocks. 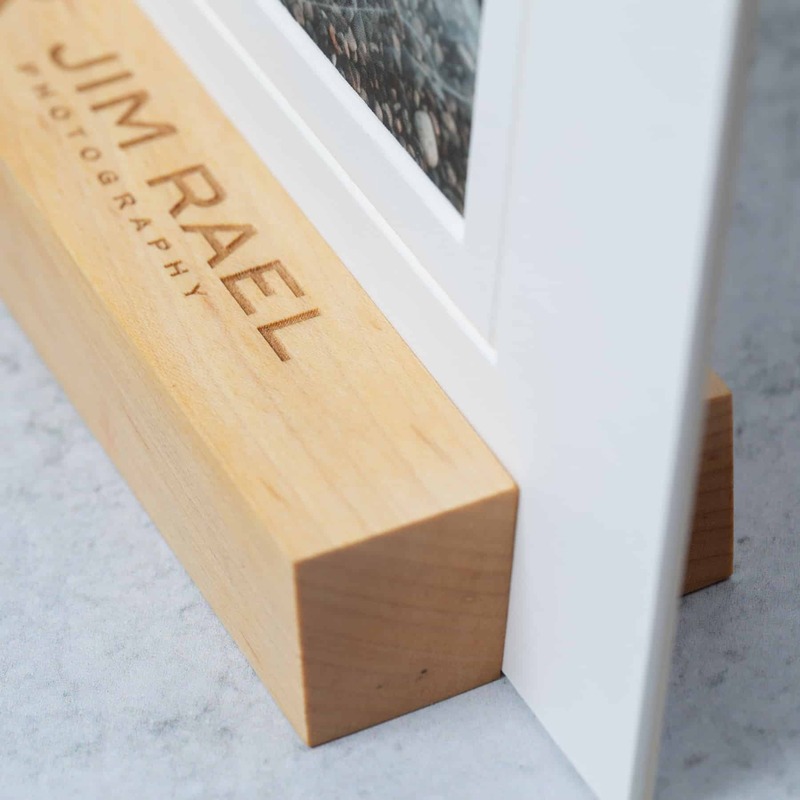 In addition to matted prints, these easel stands are ideal for artwork that is mounted to foam core, printed on metal or glass, or virtually any other substrate. Each easel contains two magnets per block, which are countersunk into the wood allowing only a smooth edge to come in contact with your art. 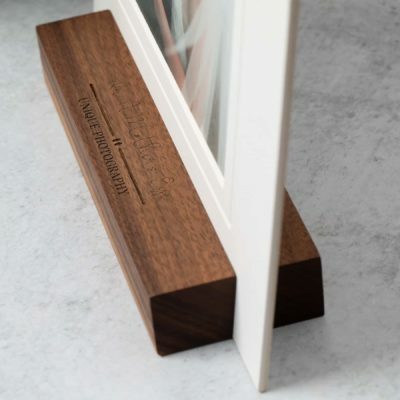 When the blocks are joined together by the force of the magnets, the seam created exists at a slight angle, thus allowing your art to be tilted back allowing easier visibility to the viewer.